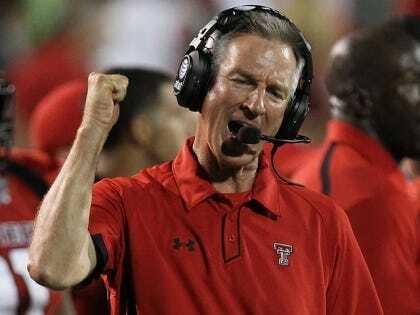 Texas Tech clearly believes football is its number one priority as evidenced in the $500,000 per year pay raise for head coach Tommy Tuberville. Despite Texas Tech faculty members being told to take a pay freeze in 2011 and Tech facing an 8% reduction in state funding which translates to millions of dollars, the university was able to find some extra coin for their beloved football coach. While Tuberville is slated to make at least $2 million per year (with a new 5 year, $11 million contractual guarantee), the university thought it best to deny the $3 million in faculty pay raises for 2011. The faculty of Texas Tech have long despaired about the possibility of any pay raise in the forthcoming years and are angered that Tuberville was awarded a significant raise during these financial times. Though athletic and faculty budgets are theoretically separate, the move by Tech is only feeding the academic v. athletic debate for universities across the nation.